Germany went to the polls at the weekend, and as expected, they once again elected Angela Merkel, because you know, it was the safe thing to do (eye roll). Yes, the anti-German and pro-EU chancellor known as the “mother of all migrants”, so called because she decided it was a good idea to let in refugees, economic migrants, and a whole host of ISIS terrorists into her country since late 2014 during the start of the migrant crisis. This decision by her, has had long standing effects to her country which has reached critical levels from the year of 2014, onwards. So, how many documented, undocumented and benefit claiming economic migrants arrived? 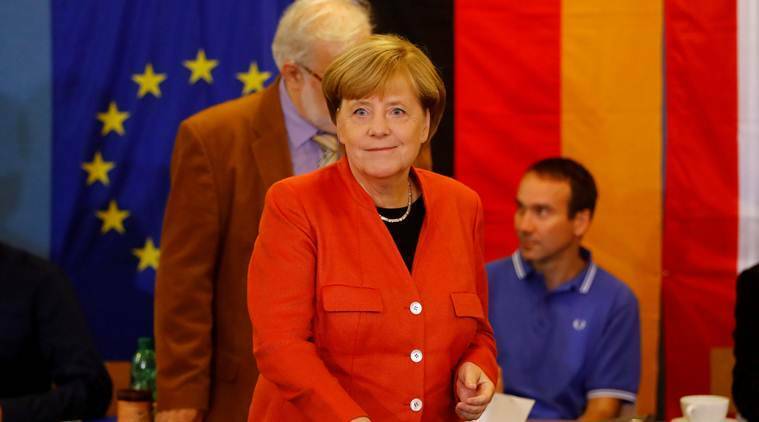 That is still unclear, but it’s estimated of being upwards of 1 million or more, with more to come under Angela Merkel’s continued leadership of Germany. There could very well be other hundreds of thousands that are still unaccounted for that now reside in Germany as you read this, most of which will claim benefits and live off the German tax payers, which after all, is the staple of socialism and a faltering political model in European countries. At the start of January 2017, it was said that the migrants numbers arriving had decreased significantly, perhaps a smart media report move giving it was an election year, however, after Angela Merkel just won again, expect an influx of about a million more unassimilated Muslim migrants coming to Germany every year. Under Angela Merkel’s plans to collude with seemingly the world’s elite in pushing an evil agenda of division, so there will soon be no Germany left in the near future; only Mosques and Sharia Law. Can Angela Merkel really do the right thing? It may be a bit late for that now and it’s most definitely not on her agenda. Sadly, it seems that the deluded German people have completely forgotten that Angela Merkel is further supporting the Islamisation of Germany, at a time when this is what the people want least, however, many conservatives and nationalist parties have risen up in Germany as a result, as the recent election results have shown, making it a very hollow victory for Angela Merkel, as she’s lost major power in parliament. What has risen in Germany since the influx of “welcoming all refugees” is the sharp spike in Muslim rapes of women, Muslim gang rapes of hundreds of women, if not more, which is being covered up by the nations media because of socialist conditioning and PC culture, and most importantly of all, domestic terror threats and numerous terror attacks, with some of the smaller acts of terror and tension not reaching international news desks, either. However, despite all of this, she will continue to cling to socialist values of political correctness, spouting things like “welcome all refugees” and keeping an “open door policy” amidst the national disasters related to migration, integration, terrorism and very much the coming cultural division of the whole nation. Result! It’s amazing that she’s won again, but you know, it’s what the Germany people thought was the safe thing to do… Anyway, lets take a look at the percentages of votes, shall we? Angela Merkel’s disaster party, the CDU, won 33% of the vote, the SPD (Social Democratic Party of Germany) got 20.5%. Alternative for Germany, a nationalist party who are well known Euro sceptics, won 12.6% of the vote, giving them a strong 90 seats in Parliament. Lastly, the FDP (Free Democratic Party) won 10.7% of the vote. Angela Merkel knows it’s not a big victory, and coalitions might have to be formed, but with everybody seemingly against Merkel’s Islamisation and pro-Migrant rhetoric, hopefully, there’s not much luck expected in that department, but this remains to be seen. So all in all, it seems that Germany is still so blindly apologetic for WWII, that they’ll happily subscribe to liberal socialist parties whose aim it to ruin everything in German culture, and any remnants of holding onto its national integrity. Such is the liberal indoctrination in schools, not to mention the socialist television networks, as well the press who have the public clearly fooled. The reality of the situation is that many Germans are not happy about where all this is going. Once a country runs out of resources in socialism, well… All you need to do is to look over at Venezuela to see what’s happened over there. Now, it’s not all the same, but how will Angela Merkel continue to sustain the Islamic influx AND appease the rightfully born Germans to what’s rightfully theirs, whilst their country and culture disintegrates to the point where people aren’t able to get the proper medical care in future? After so many free socialist economic handouts to their new migrants over a period of years, plus with the many cut-backs to subsidise the influx, it’s looking to be a grim future for the health department. This has a knock on effect to the whole country, and those that will suffer most are the German people, especially the elderly. It’s putting a financial strain and cut-backs in many place and its not just going to be in hospitals. That’s the facts of socialist delusion. So, is it too soon, or is it even inappropriate to say “Auf Wiedersehen” to Germany right now? Maybe not yet… This is the truth of matters nowadays in Germany though. 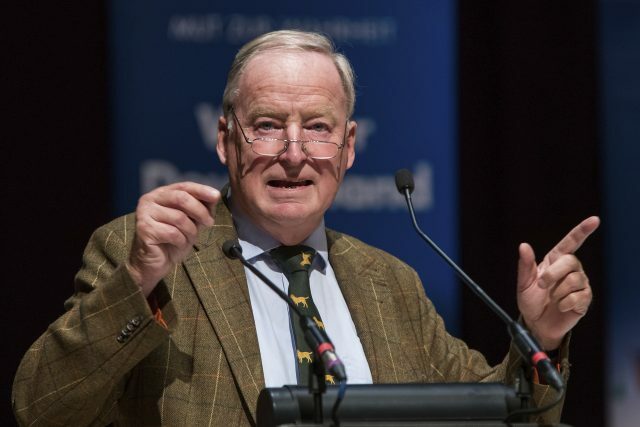 Alexander Gauland, one of the AfD leaders and now an MP, said that his party will hunt down Mrs. Merkel and “Take back the country and the people”. To that we say: “Well said Alexander, well said”. It is a shame that the people seem so willing (look up: brainwashed) to send their own nation down the drain after all that’s happened over the past four years with terror problems and the direct effects of Merkel’s disastrous migration policies. Despite knowing that, they made their vote, and now they’ll get just more of the same, but worse. Angela Merkel today made a recent speech in Berlin, addressing the nation, where she almost but all but apologised for the Migrant crisis and said it’s not been easy to be the leader of the country for 12 years. Erm… It’s a bit late for apologies for the “open door” policy, don’t you think? And, will apologies really work at this stage to rectify these problems? The answer is “No”. Ultimately, things will be much worse for years to come for Germany… This is not “fantastich” news for Germany, but they brought it on themselves by being susceptible to socialist lies and socialist indoctrination and being open to the evil plans of the globalist EU policy.